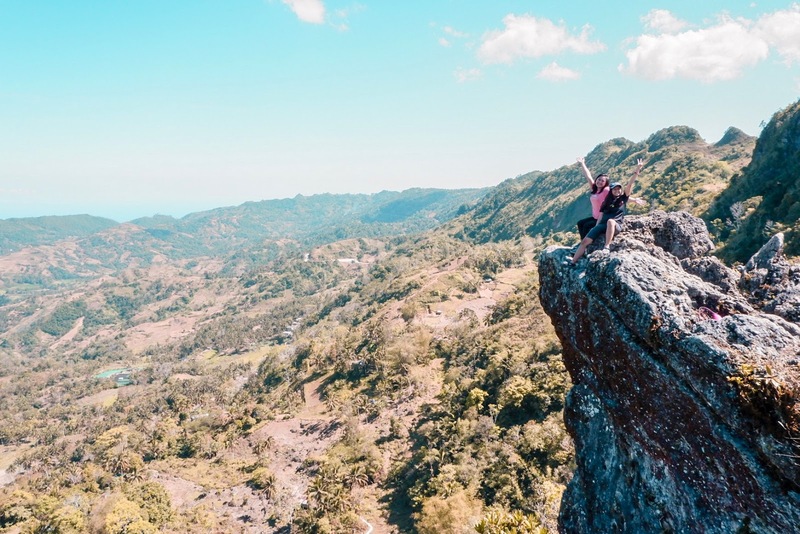 Dalaguete is not only home to the famous Osmeña Peak, but there are several peaks that are also worth climbing in this municipality. One of which is Mt. Kandungaw. Prior to this climb, I assumed that it would somehow be like Mt. Naupa but boy was I wrong. It had the steepest trail that I have ever experienced. So if you're planning to climb Mt. Kandungaw, I am telling you, it is not for the faint-hearted. I researched a lot about Mt. Kandungaw considering that there was only two of us who pushed through with the climb. And according to my research, there are two ways to get to Mt. Kandungaw. One is through Badian and one is through Dalaguete. This is because the peak is located between these two municipalities. However, the easier way is of course, through Dalaguete. We met at the South Bus Terminal at 7AM and got on a Ceres bus going to Bato via Oslob. We just told the konduktor to drop us off at Dalaguete where we can get a ride going to Mt. Kandungaw. 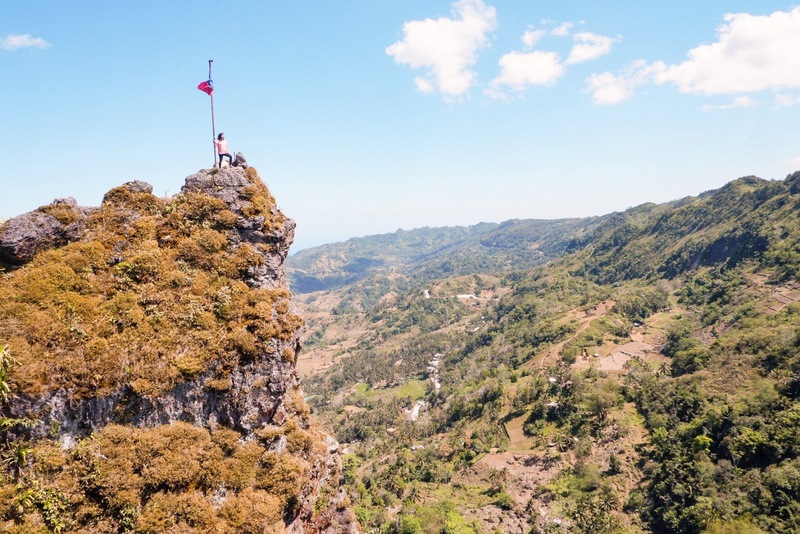 Around 11AM, the konduktor started yelling, "Anyone who's going to Osmeña Peak, drop off here." And as I just woke up from a deep sleep, I immediately stood up hearing what the konduktor said and we got off the bus. We dropped off exactly at 7/11 in Poblacion, Dalaguete. To be honest, I wasn't sure if we got off the right place because based on my research, we had to drop off at Mantalongon Market. I didn't know that buses don't actually go Mantalongon Market. So we had some lunch at 7/11 first to get our senses back and then we asked for directions from the locals. Good thing, we did get off the right place. 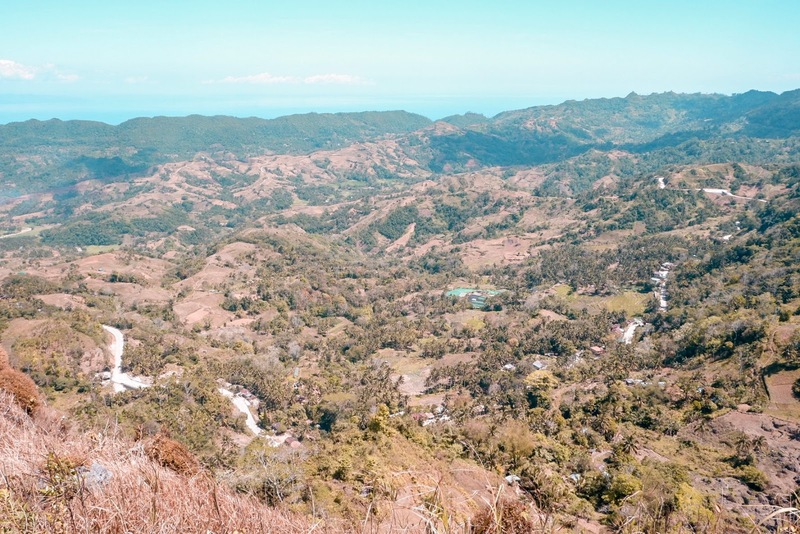 There are a lot of habal-habal drivers in the area that can take you to either Osmeña Peak, Mt. Kandungaw, or Casino Peak. We got on a habal-habal and told the driver to get us to the jumpoff point to Mt. Kandungaw. The drivers there already know where to take you and they even suggest for other places you can visit after the climb. The ride from 7/11 to the jumpoff point took around 30-40 minutes and our butts went numb when we arrived. Haha. 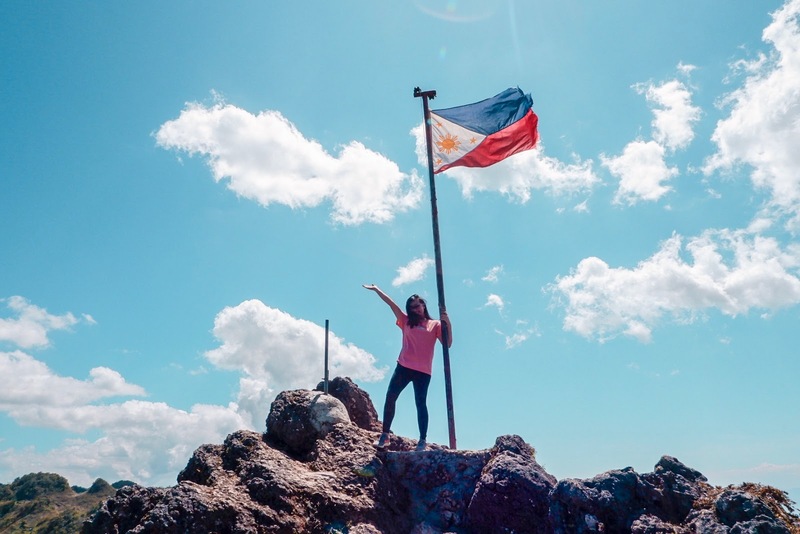 At the jumpoff point, we each paid a registration fee of Php 30 and paid an additional Php 20 for the rental of the flashlight since we chose to visit the cave as well. A young boy was our guide then we started our ascent around 12:20 PM. Imagine the blazing heat of the sun! Mt. Kandungaw has two trails. The first trail is the natural, rocky trail and the second trail has been paved and built with stairs. Our guide took us to the natural trail because the paved trail is wide open that the sun's heat would directly hit us. The natural trail had trees to give us shade, thanks to our guide's suggestion. Just a few minutes from the starting point, I was already out of breath and my legs were already aching. I actually woke up with sore muscles because we played bowling the previous day and it only goes to show how sedentary my lifestyle is. Haha. Along our journey to the peak, I was already feeling so weak. My legs were severely aching and I really felt I was gonna pass out. I also felt like I wanted to vomit. This was the climb that I experienced the worst so far. I wanted to cry. I wanted to back out. But what the heck? So much time and effort will be wasted if I go back to the starting point! Haha. Thanks to our guide and Nam (my companion for this climb), because they were really understanding when I needed rest and even if I slowed them down. When we were almost at the peak, we had to climb on rocks and pass a very narrow path where we only had to hold on to a rope that the locals intentionally added for the hikers. I forgot how long the climb usually took the others but for us, I think it took us maybe 40-45 minutes. At first, we didn't know we have already arrived at the peak because we thought the guide just wanted us to rest before we resume with the hike. When we asked him, he said we're already at the peak and we were surprised. Like wow, finally! I was very happy that I did it. The view at the peak was like all the other peaks that I have ever climbed on. It was breathtaking. The air was so cool and fresh despite the scorching heat of the sun. We spent more than an hour at the peak for photo taking and just relaxing and enjoying the view. Mt. Kandungaw, according to our guide, has four peaks. 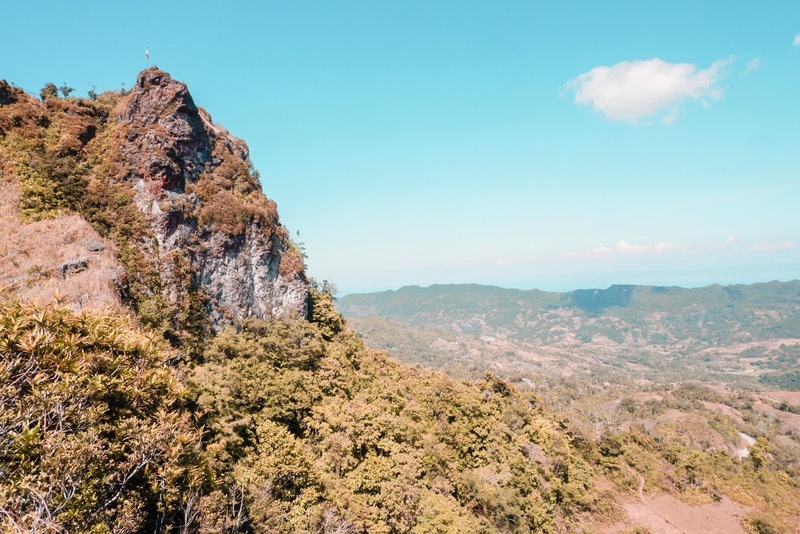 One is the main peak, Kandungaw Peak. The second one is the Sunset Peak facing the island of Negros (see photo above). The third one is the Lover's Peak (which we didn't get to visit) and the last one is the Buwis Buhay Peak. 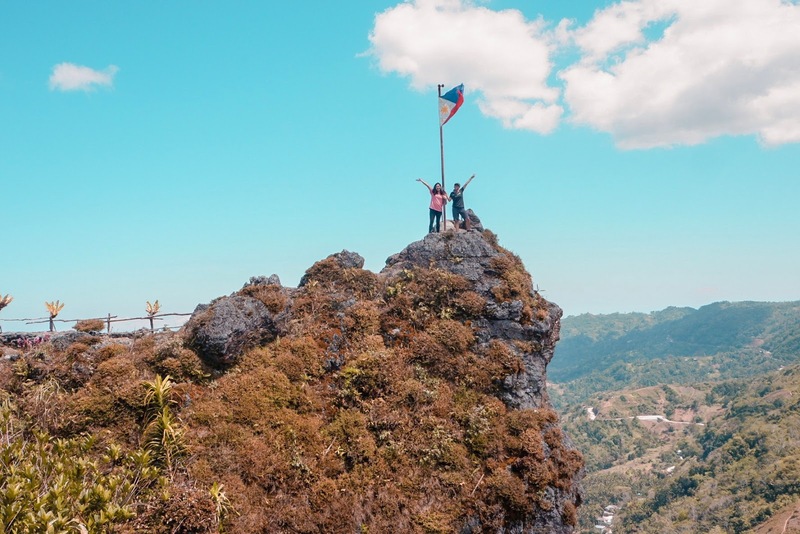 The last one hasn't been formally named yet but it was called such because taking a photo on the giant tilted rock was indeed buwis buhay (see photo below). After visiting the three peaks, we started our descent. And this time, we took the paved trail since it would be easier to take that trail. The stairs had around 200 steps and then the paved, slightly steep path came next. Our knees were shaking when we got back to the registration area. Haha! We didn't have the energy to get to the habal-habal yet so we rested for a while and thank goodness, our driver was really nice and understanding. He told us to take our time. For some experienced hikers, Mt. 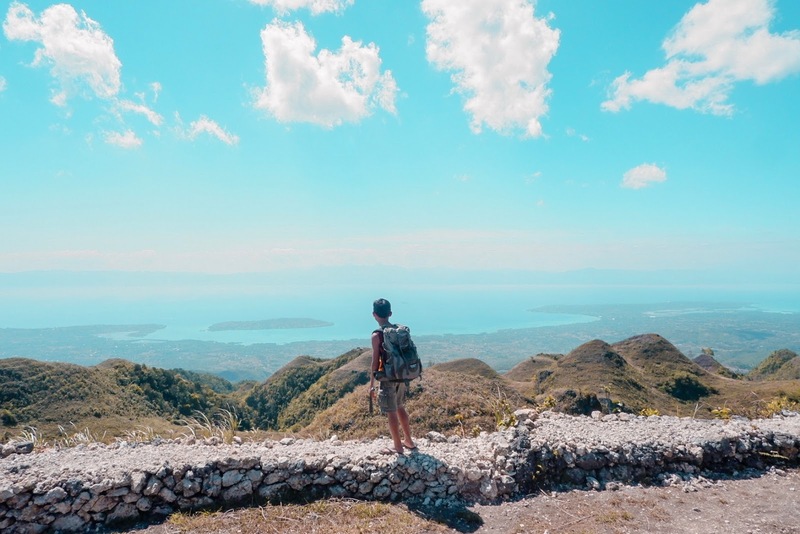 Kandungaw is an easy conquest but to someone like me who has a very inactive lifestyle and climbs very occasionally, Mt. Kandungaw is not easy. Before you take the leap, make sure you're physically and mentally prepared, and make sure you had enough sleep to avoid experiencing what I had experienced. Happy climbing!